We tried this activity at our weekly playdate today (yes, I have a weekly meeting called a playdate): magnet painting. 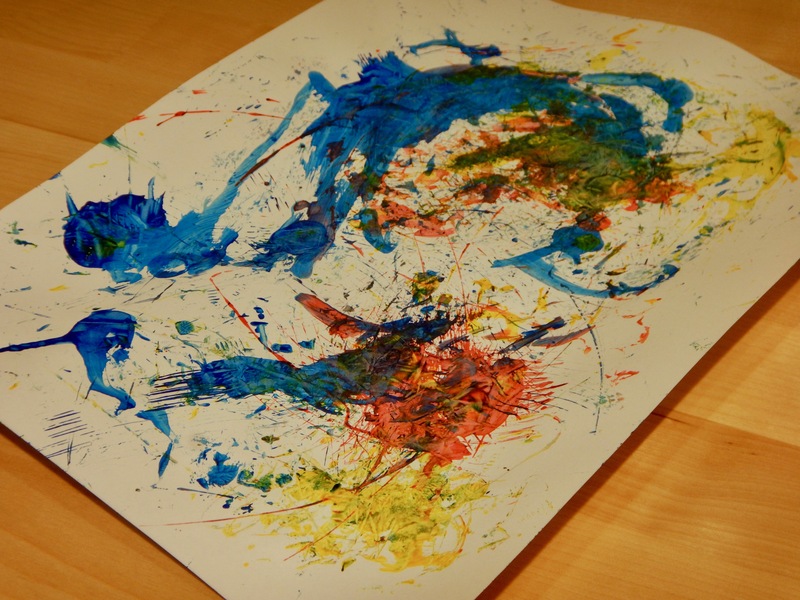 We dipped various metal objects in paint, then dragged them around the paper using a magnet underneath the tray that the paper was on. Fun!